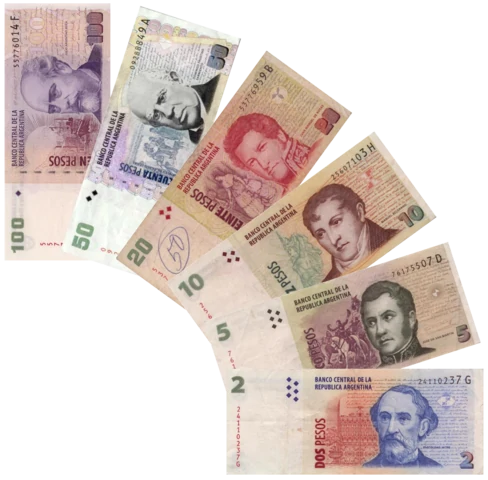 So after my post last week on Argentina and Dual Exchange Rates, I received quite a few questions. I decided it will be worth writing a handful of posts to catch up those of you who are not lucky enough to live in this fine country where major roads are cut off by protestors banging pots and pans on a daily basis, and restaurant menus are heavy with price stickers piled on top of each other. Independent reports clock Argentina’s annual real inflation at between 20 and 30 percent. INDEC, the government statistics agency, regularly and vigorously reports figures around 9 percent. Since 2007, the government has fired and closed down individuals and organizations that deign to report differently, chastising them as anti-Argentina and puppets of international governments hell-bent on undermining Argentine growth and progress. For more on that, check out the image to the right this article, both from the economist. Great article indeed, thank you. Thanks for the comment – I’m always open to criticism of my work. Great to hear from you. I’m glad you appreciate the content of my blog – and if you’re interested in studying inflation you couldn’t pick a better place and time. I’d love to grab a coffee sometime when I have a moment – drop me an email at bianca.fernet@notparis.com and we can work something out. I would love to see both of you team up to provide content for this blog. Perhaps there are others in Argentina that could contribute as well. The world needs to know about Argentina. Very interesting comment Bianca Kudos to you. Subsidies on transport are not meant to keep a level of well-being, but to keep labor costs down. Inflation is something that every country has to deal with, actually either Draghi, Bernanke or any official of any serious country talk about inflation everytime they can or are requested to. So the acknowledge of inflation is necessary for a serious growth plan, even China with their not so transparent accounts reports their CPI. The problem in Argentina (I’m Argentinean) is not the inflation itself but the lack of acknowledge and meassures to address it. But that is no surprise for us, the argentineans, and shouldn’t be for the world. Last year Del Pont was named worst central banker two years in a row, an it looks like she’s getting it again this year. Just caught up with this blog again. That answer is about as good as anyother I have recieved.